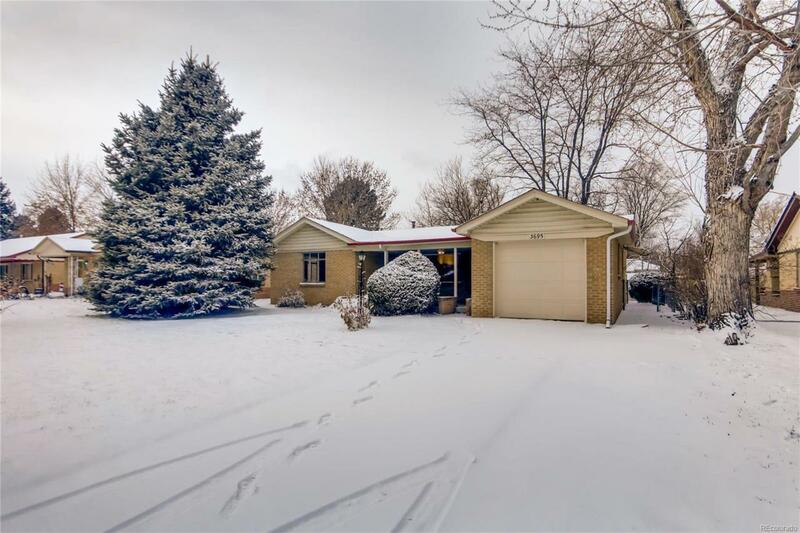 Tastefully remodeled Ranch home w/ large fenced yard w/ 3 sheds, just to the west of The Highlands area, easy access to Downtown,just south of 38th ave, 4 miles from I 25. Freshly finished hardwood floors, and crisp new paint throughout, Front foyer, Living room w/ large picture window over looking the 12'X18' covered front porch, perfect for Colorado Outdoor living, Dining room, Bonus sq ft in the Sunroom off the living area w/ new carpet and easy access to the yard. Light & Bright Kitchen w/solid surface counter, newer appliances and modern cabinets, Separate Laundry room, 1 car garage, 2 spacious bedrooms & a updated full bath. Peaceful Neighborhood with wide streets and big, beautiful trees. Just the place to call home! Offered by Weichert Realtors Professionals.